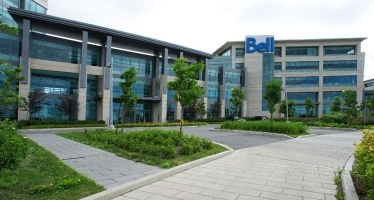 Bell Canada Telecommunications Companies accused of misleading sales tactics. More than 200 past and current telecom employees (mostly at Bell and Rogers) have come forward to CBC’s Go Public unit. They customers come to describe intense pressure to mislead and lie to customers in order to hit unrealistic sales targets. Learn more about the misleading sales tactics at CBC News Go Public. Time is running out to participate in the public inquiry regarding Bell Canada’s misleading sales tactics. Erica Johnson of CBC News Posted Aug 23, 2018 that the last day telco workers and customers can say they’d like to participate in the public inquiry is August 30. People can submit a written complaint. Or say they’d like to physically participate in a public hearing in Gatineau, Quebec, starting on October 22. ​The federal government is ordering an investigation following allegations that Bell Canada’s largest telecommunications companies are using “misleading” and “aggressive” tactics to sell products and services. Innovation, Science and Economic Minister Navdeep Bains has ordered the Canadian Radio-television and Telecommunications Commission (CRTC) to investigate and report on the sales practices used by Bell Canada’s largest telecommunication companies. The minister also called for a public inquiry to allow Canadians to voice their concerns. He said the resulting inquiry report will have to propose potential solutions. One customer filed a complaint with the Commission for Complaints for Telecom-television Services (CCTS), a mediator between telcos and their customers. The customer received a refund.